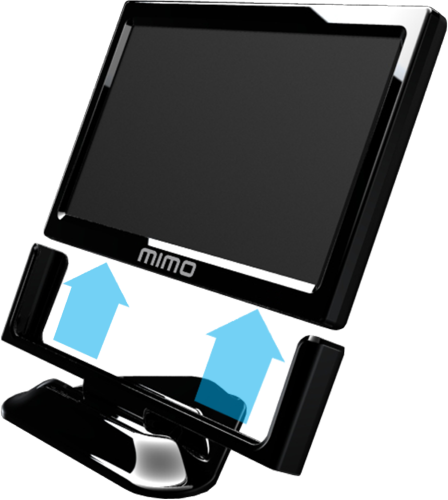 Advertised as the world’s first USB-powered capacitive touch-screen display, Mimo Magic Touch is a mini-monitor for home or work computing. The device features a 10.1 inch screen, running at 1024×600 resolutions, having an amazing responsiveness. Its versatile design allows users to use the device either as a mounted display with its base (dock) or simply as a hand held tablet. Mimo Magic Touch Deluxe– Adds two convenient USB ports to act as a mini-hub to connect other peripherals. One great characteristic of Mimo Magic Touch is that its touch-screen is very slim, less than an inch thick and weighs only 1lb to offer sharp graphics and clear images for multi-media design, videos and other business needs. Mimo Magic Touch finds applications in home entertainment systems, manufacturing controls, corporate video conferencing and many more. It is fully compatible with Windows 7 and is priced at $299.99 in the market. It also acts as a good peripheral monitor for social networking, online chatting and much more. To know more visit its website.